Questions and Answers for Gay, Lesbian, Bisexual and Transgender Youth. Today's youth face more social pressures than ever, especially since young people are coming out at increasingly younger ages. This publication offers a supportive approach to common questions asked by teens who may be questioning their sexual orientation. It also provides hotline numbers for teens and a list of resources. What We Wish We Had Known --- a Resource to Help End the Silence. whose families and personal lives have been deeply affected by misunderstanding. and Theology. A complete bibliography is found at the end of the work. Parents, Families and Friends Talk About Religion and Homosexuality. Discovering that a loved one is gay, lesbian, bisexual or transgendered can pose new questions about your faith and may prompt you to re-evaluate beliefs that you previously took for granted. By using personal experiences, this publication provides examples for reconciling your faith with the knowledge that a loved one is gay. 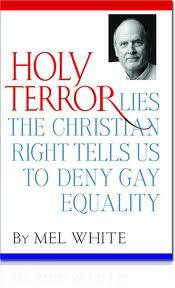 Includes an updated list of gay and lesbian religious and spiritual groups to watch out for. Preguntas y respuestas para padres de gays, lesbianas y bisexuales. A culturally appropriate Spanish translation of "Our Daughters and Sons," this booklet is a valuable resource for Spanish-speaking families coming to terms with homosexuality and bisexuality. 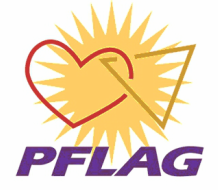 The booklet answers commonly asked questions about having an LGBTQ loved one, and includes Spanish language resources. is a great resource for Spanish-speaking youth and families. Finding out a spouse is gay, lesbian, bisexual or transgendered can be difficult. Questions about sexual orientation, fidelity, self-esteem and fear often go unanswered. This recently updated and expanded publication provides insight into issues facing spouses, including coping stages, identity crises, concerns about children and support avenues. 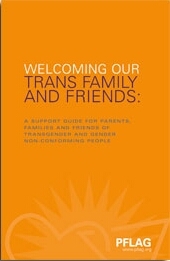 This booklet serves as a resource for parents and friends of transgender and gender non-conforming adults and youth. It will help answer some of your questions and concerns. This publication provides information, resources and strategies on creating a safe space for transgender and gender non-conforming family and friends, as well as addressing your own feelings and fears. Research-based answers to ten of the most commonly asked questions about lesbian women, gay men, and their families. This 36-page booklet was written by Jeff Lutes, MS, LPC, and former Executive Director of Soulforce. are holding you back (or just kind of uncomfortable)? exposé of the origins of the Christian fundamentalist movement and how its virulent anti-gay agenda has led to the rise of the Tea Party movement, among other forms of recent right wing extremism. This book is available on the "SoulForce" web site.